The rainy season is coming; it notifies the end of the summer season. Did you know that wet and humid weather is known for aggravating skin problems? The high humidity level tends to aggravate clogged pores, which in turn causes an increase in sebum production. The excess oil on the skin surface traps dirt and dust and is a breeding ground for bacteria, which leads to skin flare-ups. The rainy season also makes your skin oilier than it already is. You need to get rid of all that oiliness and also prevent the infections from forming up. Don’t worry! Diana Stalder can help you in every step of the way. You can avail of the Casmara Shinestop Treatment which offers detox-effect with sebum-regulating action. It comes in a 6-phase professional treatment system that is convenient and relaxing, manufactured by Casmara Cosmetics in Spain. regulate excessive sebum secretion and give the skin a matte effect.PHASE 5. REAFFIRMING MASK 2020. A facial mask with Peel-Off technology providing detoxifying and firming effects with diatomaceous earth and seaweed extract. It contains vitamins, amino acids that reaffirms, soothes and tones the skin with an intense cooling effect. 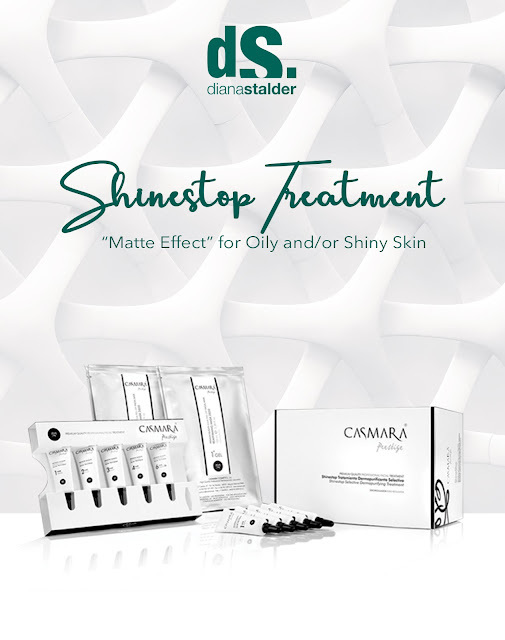 Casmara Shinestop Treatment is a unisex formula, suitable for oily and shiny skin; recommended for all ages. It will bring out balanced, matte, clean, renewed and more youthful skin. 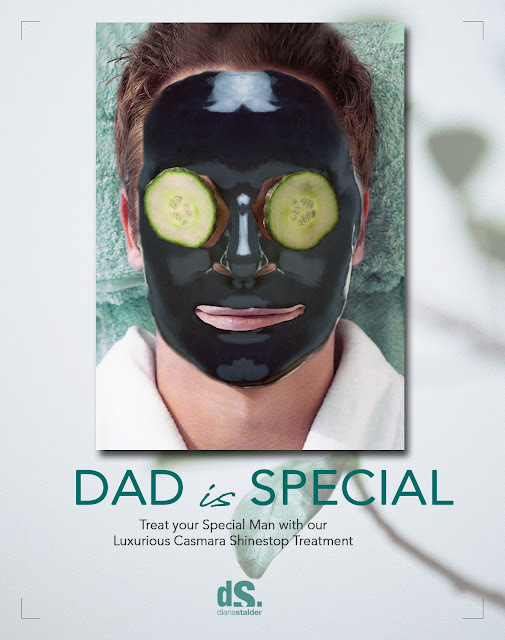 You may also visit Diana Stalder clinics for a free skin analysis and counseling by a skilled Therapists. Tip: Your diet will always reflect on your skin. You should eat fresh and remain fresh! More intake of fresh vegetables and fruits will help your skin remain fresh and healthy throughout the year, in any season. dS Cafe offers fresh green salad and no-preservative juices that are made from premium quality ingredients at Diana Stalder Gateway and Megamall branches.